Entries for Pavo Cup, Blom Cup and KWPN Championship for five-year-old eventers now open! From 10 to 18 August, the KWPN Championships will take place at the National Equestrian Center in Ermelo. The KWPN Championships form the podium of honor of KWPN breeding; more than a week of great sport and the best of KWPN breeding! On Thursday, August 16, the finals of the Blom Cup and the KWPN Championship for five-year-old event horses will be on the program. The finals of the Pavo Cup will take place on Saturday August 18th. The very best sport horses come into action on these days in the main arena. Do you have a talented horse in your stables? You can now enter your horse(s) for the Pavo Cup, Blom Cup and the KWPN Championship for young event horses. For the championships four-, five- and six-year-old dressage horses the talent of young dressage horses is tested in a competition. The horses do not have to do a test at L or M level, but they can show their talent by doing some basic movements. During the pre-selections, which are held at the Central Inspections, a maximum of two combinations will be in the arena at the same time. At the request of the jury, they must show a number of movements . The assessment takes about 10 to 20 minutes. The judges will score the horses on a scale of 1 to 10 for walk, trot, canter, harmony and talent as dressage horse. 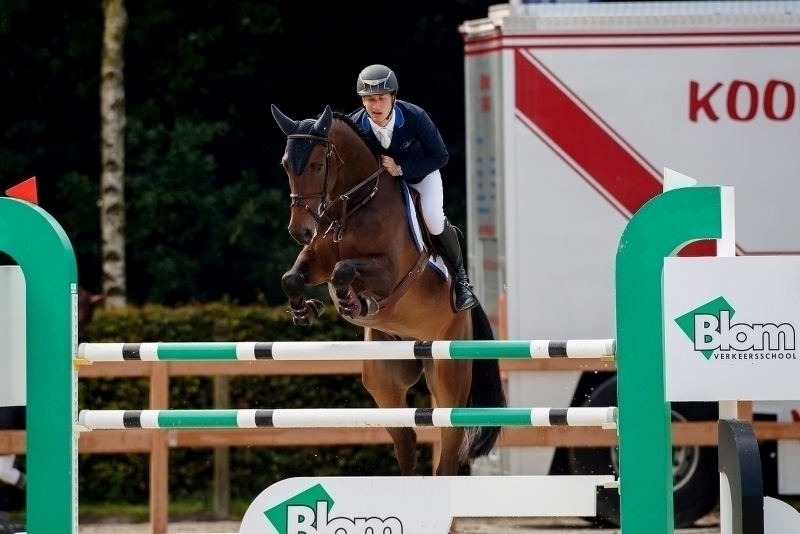 The Blom Cup offers spectators a look at the best four-, five-, six- and seven-year-old jumping horses of The Netherlands. The Central Inspections are a good training for the four-year-olds to prepare for the competitions in August. At the Central Inspections a horse can be placed for the semi-finals by scoring at least 21 points for the way of jumping and the performance in between the fences. A horse may participate at the Central Inspections twice. Of course, the four-year-olds can, just as the five- six- and seven-year-olds, also qualify trough the regular competitions. For a place in the semi-finals, a horse needs to have the following qualifications (based on age) before July 23th 2018. Like last year, finalists start with a clean slate at the finals on Thursday, August 16. The best 25 four-year-olds, the best 30 five- and six-year-olds and the best 20 seven-year-olds are invited to participate in the finals. On Thursday August 16th, is also the championship for five-year-old event horses. This championship already produced several talents in the international sport and aims to test the talent of the participating horses as event horses. The early scouting of young talents can give a positive boost to the eventing sport in the Netherlands. Do you have a talented eventing horse? Enter it for the championship as soon as possible!